Whenever performing a master reset on such a device, you should know that you won’t just take advantage of a brand new operating system, but also have a blank memory. Given this situation, it is solely your responsibility to use whatever method you prefer in order to save the files. Powered by Android’s Ice Cream Sandwich, developers of this tablet also included the option of upgrading to the Jelly Bean version. Coming with a non-removable Li-Po battery that allows up to 10 hours talk time, the device has 1 GB RAM. It can also be used as a camera, since it has two of them: a primary 8 MP camera attached with autofocus and geo-tagging and a secondary 1.2 MP one. But this tablet doesn’t just take good photos; it also serves to play music – it can be used to play anything from MP3 to MP4, as well as AAC, WAV and WMA. Before trying a hard reset procedure, you can perform a soft reset on the device by pressing and holding the Power button for approximately 10 seconds. Alternatively, you can also use the tablet’s Reset button to force it into restarting. This will result in data loss but can be a simple procedure to use whenever you need to reboot the system. Please take a look at the image below to fully understand how it works and use a paper clip to push the reset button. 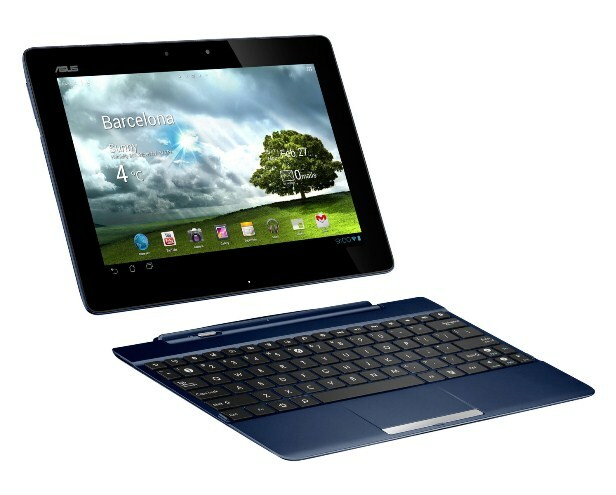 Restoring the Asus Transformer Pad to its original settings will wipe all the data stored on it, which is why you can’t get started without saving all important information on the device. This can be easily done by connecting the tablet to a computer to transfer the necessary files. From your Home Menu, go to the Settings folder. Scroll down to the Personal section and choose the Backup and Reset option. Select the Factory Data Reset option and click on Reset Tablet to confirm. When prompted, click on Erase Everything and wait for the process to begin. The tablet will start rebooting and be ready in maximum 4 minutes.